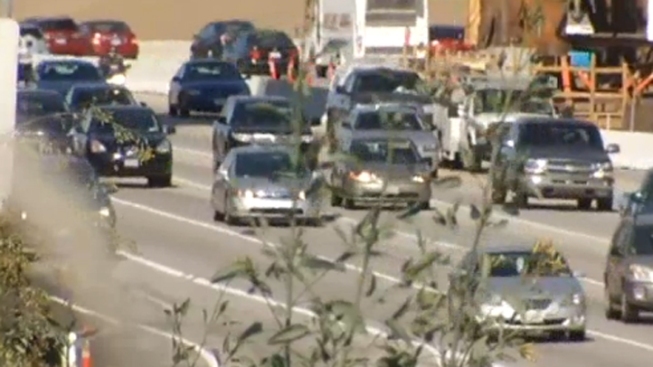 Caltrans will close the northbound 110 Freeway in South LA to work on the carpool lanes. Driving through South LA will be a patchwork of detours overnight Thursday as Caltrans shuts down the northbound 110 Freeway just south of Downtown LA. Caltrans Spokeswoman Judy Gish says lanes will probably start closing sometime after 11pm, with full closure of all northbound lanes by midnight. The closure will extend from Exposition Boulevard to Washington Boulevard. Traffic will be detoured around the closure on Hope Street, Exposition Boulevard, Figueroa Street and Adams Boulevard. The lanes should be reopened by 5 a.m. Friday, according to Caltrans. Caltrans is working on the carpool lanes for a trial project planned for the fall to convert some carpool lanes into toll lanes. Based on information from Caltrans, an earlier version of this story incorrectly reported the entire freeway would be closed.